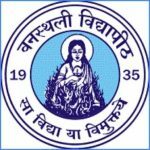 SNAP 2018 Admit Card has been Available on 1st December 2018. The abbreviation of SNAP is Symbiosis National Aptitude Test.SNAP Exam is a University level examination which is conducted by Symbiosis University. 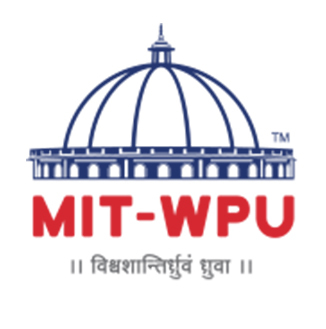 This exam is mandatory for the candidates who are seeking admission in MBA (Management courses) which are offered by Institutions associated with Symbiosis International University. After clearing the SNAP examination, The candidate has to give the Written Ability Test and Personal Interview tests, which is organized by the institutions for admission. 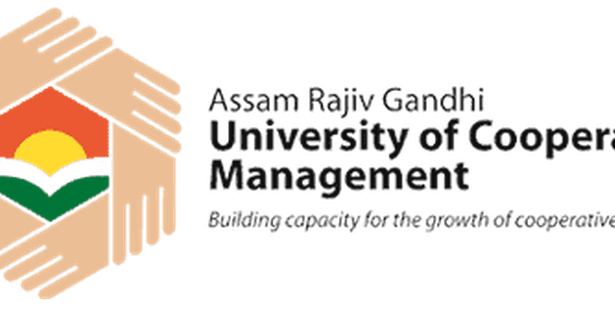 By SNAP examination, Marks secured in the entrance test; Candidate is eligible to take the admission into the MBA programme in the successive academic year. The score of SNAP Exam is valid to take the admission into the 15 Institutes of Symbiosis International University. SNAP 2018 Admit Card has been Available on 1st December 2018. Click Here to check Admit Card details. SNAP 2018 Registration Extended can be done till 28th November 2018. Click Here to Check Details Registration. SNAP Examination is conducted once a year which is organized by Symbiosis International University. Exam dates are declared by SIU every year in November. Candidates are requested to check the dates properly which will give accuracy in their preparation. SNAP Exam Dates 2018 Test will be held on 16th December 2018. The dates are tentative, So candidates are requested to cross check with the official Notification. SNAP 2018 Registration form has been Started from 28th August 2018 through Online mode. SNAP 2018 Registration Extended can be done till 28th November 2018. SNAP 2018 application form can be filled in the SNAP website. Candidates can fill the online application from the 28th August 2018. Candidates are requested to fill the application form accurately and avoid mistake as it will create a problem for the candidate at the time of admission. Candidates require to visit the official website and click on the register button. Candidates must upload their latest colored passport size photo at the time of online registration for SNAP 2018. Aspirants will have to pay the application fee for SNAP 2018. Note: Any changes in the online application form of SNAP 2018 will be allowed only up to the closing date of registration. No changes will be entertained after the closing date under any circumstances. How to fill SNAP Application Form 2018 Guide Available Here. Candidates have to pay 1750/-as SNAP Entrance Test fee. The candidate has to make separate payment of Rs.1000/- per programme per institute. SNAP registration can be done by the candidates who are seeking to take admission for the MBA courses in Symbiosis University. The candidate who wants to fill the registration form of SNAP Examination is informed that they can 0nly fill the examination form for registration through online mode only. No Offline Mode will be available for the candidates. SNAP 2018 registration will be commenced in August 2018. SNAP exam which held every year organized by SIU for admissions into MBA courses. Candidates are requested to check out the complete SNAP Eligibility Criteria which is officially declared by Symbiosis International University. Candidates fail to get the complete SNAP exam eligibility criteria which harms them while taking admission to the Institute. Hence you are requested to check out the complete Eligibility criteria for the SNAP exam. Below we have given the SNAP Exam eligibility criteria, Must Check it out. Candidates must have cleared graduation from any statutory/ recognized University or institution by securing the minimum of 50% marks (for general candidates) and 45% (for SC/ST candidates). Foreign National (FN), Person of Indian Origin (PIO), Overseas Citizen of India (OCI) and Non-Resident Indian (NRI) candidates are also eligible to apply. SNAP 2018 Exam pattern of SNAP is pen paper based entrance examination which happens every year. Candidates are requested to check out the complete exam pattern as It will be helpful in their preparation of SNAP exam. SNAP examination duration is two hours, and Paper will contain 150 objective type multiple choice question. The candidate has to opt for the correct answer from the multiple four questions. Candidates are requested to take the Blue or Black Bal;l pen for the exam. Here we have given complete Exam pattern in tabular format for easy navigation of the candidate. Marking Scheme: Each correct response will carry one mark. Candidates note down to use only blue or black ball point pen to answer. Exam Mode: The exam will be organized via online mode. Type of Question: Questions will be objective type. Each question has four responses. As per the UGC (University Grant Commission ), The guidelines of the reservation for the various categories like SC, ST, OBC and general are given here been the post. Candidates are requested to check out the complete reservation system of SIU. Candidates belonging to the category other than Open are required to submit valid supporting document(s) at the time of GE-PI and WAT (if shortlisted). SNAP Exam held every year which is organized throughout the country. Candidates get the center by first come first serve. Candidates are requested to fill the online registration form in the early stage to get the exam center of their own choice. SNAP 2018 Admit Card will be Releasing on 1st December 2018. SNAP admit card will be realized by SIU (Symbiosis International University ) in December which can be downloaded from the online portal of SIU. Candidates can download the admit card till the date of examination, but It is advised to the candidates that they must download the Admit card of SNAP as soon as possible. 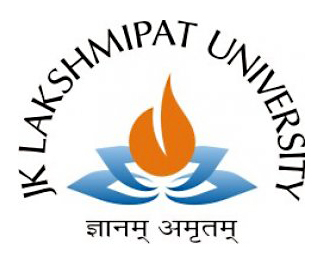 Candidates have to download the Admit card from the Official website of the University. Candidates are requested to bring the admit card at the time of test with the Identity proof like PAN Card, Adhar Card, Driving Licence, etc. Candidate must paste a passport size photograph, Coloured photograph on the admit card. Candidates are requested to keep the admit card safely till the admissions get over. SNAP Admit Card will be available via online mode. The admit card will be available from the first week of December till the third week of December. Admit Card along with Photo Identity Proof should be carried to the test center at the time of the test. Please ensure that your latest passport size, the colored photograph is pasted on the admit card at the place provided for before appearing for the test. Preserve the SNAP Hall Ticket 2018 for further processes. SNAP Result 2018 will be Declaring on 2nd week of January 2018. The SNAP exam which is conducted in December, the result of the SNAP exam will be declared in January. It will be displayed online on the official website, and now the physical copy of the result will be sent to the address of the candidate. After the result of the SNAP, exam Candidates will be shortlisted for Group Exercise, Personal Interaction and Writing Ability Test by SNAP Score. SNAP 2018 Result will be provided to students in the second week of January 2018. Candidates can check the result through online mode. Candidates will be shortlisted for various rounds like Group Exercise, Personal Interaction and Writing Ability Test by SNAP Score. SNAP Exam Scorecard will be realized in January by the Authority on the official website of the university. The Scorecard will be valid for One year only. Candidate can download the score card from the official website. The scorecard can be downloaded by entering the SNAP ID and password which is provided at the time of registration. Answer key will help the candidate to roughly check their marks/score of SNAP examination. Candidate can estimate marks and check answer written in the examination. This will help candidates to prepare for further admission steps. How to download SNAP Answer Key? 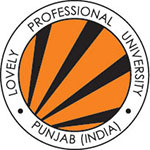 First of all officithe al visit site of Symbiosis International University which is www.snaptest.org. Go to the ‘Latest News’ section given at the homepage at the middle side of the page. Now, select appropriate link according to your query. Match your Test Sheet Solution and take print out of it for future use. SNAP exam admission procedure consists of three stages (GE-PIWAT (Group Exercise, Personal Interaction, and Writing Ability Test). After these three stages, Final merit list will be prepared by Marks obtained by the candidate in GE-PIWAT and SNAP. Candidates will be informed about the admission by Merit list declared by the college. After the complete procedure of Admission, Candidate has to report to the particular institution regarding the admission and confirm the seat for admission. Candidates can go for the admission procedure after releasing of SNAP 2018 result and cut-off. The admission procedure is consisting of three stages, i.e., GE-PIWAT(Group Exercise, Personal Interaction, and Writing Ability Test). Admissions will be done as per the candidate’s performance in the SNAP exam 2018 & other admission rounds. When the result of SNAP examination announced in January, All the 15 Affiliated Institutions of SIU release their respective cutoff for the current academic year. Cut off marks is the minimum marks required for the candidate to get the admission in the selected institution and further admission procedure will be performed. The Cutoff of the SNAP varies from institution to institution. There are 15 Affiliated institutes of SIU which are accepting the SNAP exam, the score for providing the admission into MBA courses. Many time candidates are not aware of the SNAP syllabus so, It is advised that please check out the complete Syllabus of SNAP exam before starting the preparation. Stay stress-free and never neglect your health while preparing for the exam. If you any query regarding SNAP 2018-19, you can ask your query leave comments below.